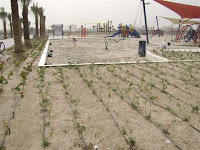 As part of the activities during the Plantation Week, which is being celebrated by the municipalities of the country to mark the first "Municipalities Month," Dubai Municipality announced the completion of the work of gardening Al Nahda Pond Park 2, which is scheduled to open soon to the public. 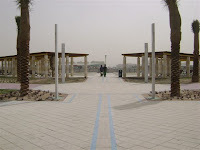 This was stated by Ahmed Mohammed Abdul Karim, Director of Public Parks and Horticulture Department of Dubai Municipality, who added that the park set up at a total of Dhs20.8 million is one of the new parks among the group of recreational parks established in the Emirate of Dubai, which provide entertainment, recreation and sporting services for the residents of Al Nahda-2 area. The park is provided with green spaces and recreational facilities, games for children, jogging tracks, bicycle tracks, sports grounds and places to sit. The total area of the park is 14 hectares, the centre of the park is occupied by a pond to collect groundwater and rain water with a two chambers, one for the water to be pumped out and the other to drain the water from the pond when need arises. The pond is provided with a pump to raise the water and two pumps to operate the fountains. The design of the pond allows the water to flow out when the water level rises due to rain, which also prevents growth of bacteria. He pointed out that the park contains a range of recreational facilities such as children's play areas for different ages and a 1.4 km cycling track and a 1.35 km jogging track and a 4,444 square meter area for practising different sports. The Director of Public Parks and Horticulture Department said that gardening and greening systems of the park had been designed using the latest landscaping system. The design includes the cultivation of date palm trees, ornamental trees, bushes, fences and flower plants and a lot of green spaces. He pointed out that a national company specialized in the implementation of irrigation systems undertook the soil work and the installation of irrigation system to serve the water needs of the plants. He said a metal fence was installed around the pond for the safety of the children and to prevent their access to the water and the park was also provided with beautiful lighting and seats.